Shamir Insight and Shamir Canada announce the launch of their newest Freeform® sun designs, Shamir Attitude® III – Fashion, Attitude ® III – Sport, and Attitude® III – SV. Each of the designs is now available to order. The Attitude III® line utilizes Shamir’s new revolutionary technologies. EyePoint Technology III®, engineered to focus on the real world images the wearer sees to ensure an improved viewing experience for all patients, regardless of lens power and frame choice. All three designs also utilize As-Worn Quadro™, which offers four times greater design stability and gives wearers even greater comfort and ease of transition when switching between frames. Utilized in the Shamir Attitude III® -Fashion and Sport designs, Natural Posture™ is an ergonomic design concept that dynamically positions the near viewing zone within the lens corridor based on the plus or minus power of the prescription. IntelliCorridor™ is a technology which allows Shamir’s designers to control the power profile of the lens, based on the needs of the individual wearer, a vital technology in providing specialized intermediate vision for the Attitude III – Fashion and Attitude III – Sport designs. Shamir Attitude III – Fashion is a performance sun lens designed to provide progressive wearers with a solution to meet their day-to-day outdoor needs. It provides expanded vision zones and enhanced peripheral vision, all in a design that fits in even the biggest fashion sunglass frames. Shamir Attitude III – Sport is a specialized progressive sun lens suited for sports and active lifestyles. It has a wide and distortion-free far vision zone, ideal for dynamic sports. Shamir Attitude III – SV is a single vision lens designed to provide patients with maximized visual comfort for all of their sport and outdoor needs. 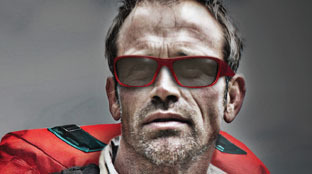 With greater optical design stability in any frame – large or small, wraparound or flat – Attitude III – SV provides expanded peripheral vision unlike any single vision sun lens before. Both Attitude III – Fashion and Attitude III – Sport will be available in the following materials: 1.5 Hard Resin, Trivex™, 1.60 SuperLite™, 1.67 SuperLite™, and Polyplus™. Shamir Attitude III – SV will be available in 1.5 Hard Resin, Trivex™, 1.60 SuperLite™, 1.67 SuperLite™, and Polyplus™. All three designs are available to order from Shamir Canada.